First published in 1925 in Lenin Miscellany IV. Lenin Collected Works, Volume 24, pages 124-126. The capitalist newspapers, from Rech down to Russkaya Volya, are carrying on a most shameless campaign of lies and slander concerning the passage through Germany of myself and thirty other emigrants. The capitalist newspapers shamelessly lie when they assort or insinuate that we enjoyed certain inadmissible or unusual favours from the German Government, a government which we consider just as predatory, just as criminal, as all the other capitalist governments who are carrying on the present war. Rich men having “connections” with high-ranking officials of the tsarist monarchy, men like the liberal professor Kovalevsky, friend of Milyukov and Co., have been constantly negotiating with the German Government through the agency of the tsarist Russian Government with a view to arranging for an exchange of Russians captured by the Germans, and Germans captured by the Russians. Why then should emigrants, who have been compelled to live abroad because of their struggle against the tsar, not have the right to arrange for an exchange of Russians for Germans without the government’s aid? Why has the government of Milyukov and Co. not admitted into Russia Fritz Platten, the Swiss socialist, who travelled with us and who had negotiated the agreement with the German Government concerning the exchange? The government lies when it spreads rumours that Platten is a friend of the Germans. This is sheer slander. Platten is the friend of the workers and the enemy of the capitalists of all countries. The capitalists lie when they circulate rumours that we are for a separate peace with the Germans, that we conferred or wanted to confer in Stockholm with those German socialists who sided with their own government. This is a libellous lie. We did not participate and shall not participate in any conferences with such socialists. We look upon the socialists of all countries who are helping their own respective capitalists to carry on this criminal war as traitors to the cause of socialism. Only those socialists are our friends who, like Karl Liebknecht, condemned to hard labor by the predatory German Government, rise against their own capitalists. We do not want a separate peace with Germany, we want peace for all nations, we want the victory of the workers of all countries over the capitalists of all countries. The Russian capitalists are lying about us and slandering us, just as the German capitalists are slandering Liebknecht. The capitalists lie when they say that we want discord and enmity between the workers and the soldiers. It is not true! We want the workers and the soldiers to unite. We want to make it clear to the members of the Soviets of Workers’ and Soldiers’ Deputies that it is these Soviets that must wield full state power. Every worker and every soldier knows his Soviet of Workers’ and Soldiers’ Deputies. 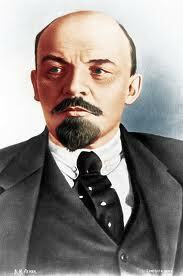 It was to the Executive Committee of this Soviet that we made our report the day after our arrival. The report appeared in Investia. Why is it that not a single capitalist paper has reprinted this report? Because these papers are spreading lies and slander and are afraid that our report to the Executive Committee will expose the deceivers. Why is it that not a single paper has reprinted the decision of the Executive Committee concerning our report, a decision which was published in the same issue of Izvestia? Because this decision nails the lies of the capitalists and their newspapers, in that it demands that the government take steps for the return of the emigrants. Izvestia has published a protest against Trotsky’s arrest by the English; it has published a letter by Zurabov exposing Milyukov’s lies; it has also published a telegram from Martov on the same subject. Soldiers and sailors! Do not believe the lies and slander of the capitalists! Expose the deceivers, who are trying to suppress the truth published in Izvestia!